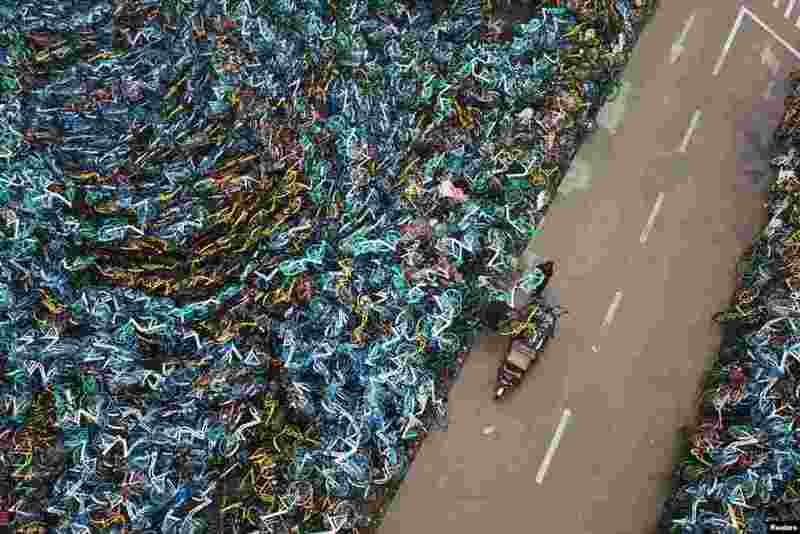 5 Bicycles from various bike-sharing services are piled up in Hefei, Anhui province, China. 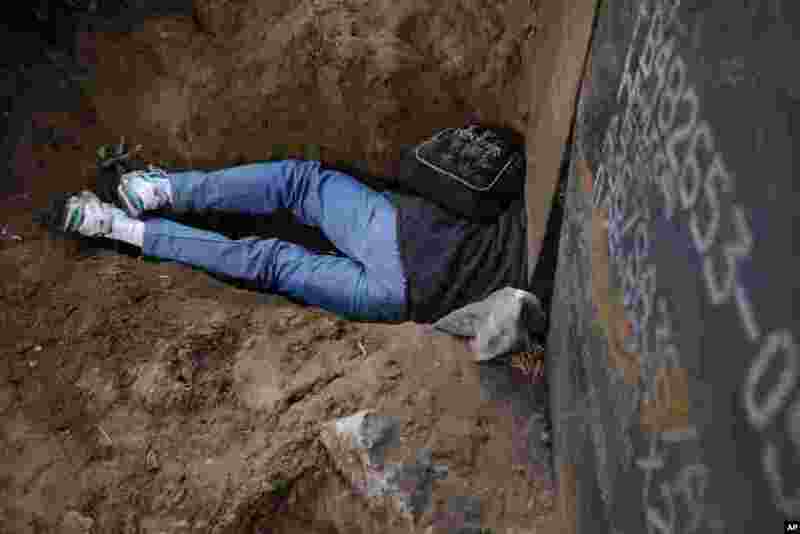 6 A Honduran migrant crawls through a hole under the U.S. border fence in Playas de Tijuana, Mexico, Dec. 4, 2018. 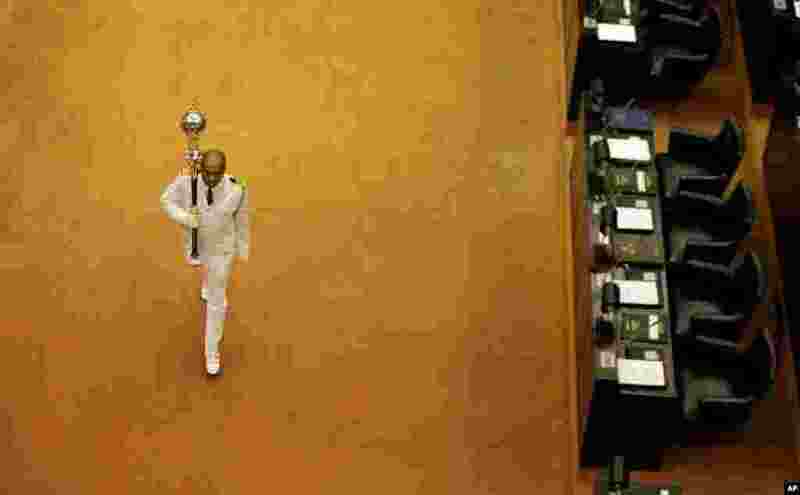 7 Sri Lanka's Sergeant-at-Arms Narendra Fernando carries the mace past empty seats of President Maithripala Sirisena and disputed Prime Minister Mahinda Rajapaksa at the beginning of the parliamentary session in Colombo. 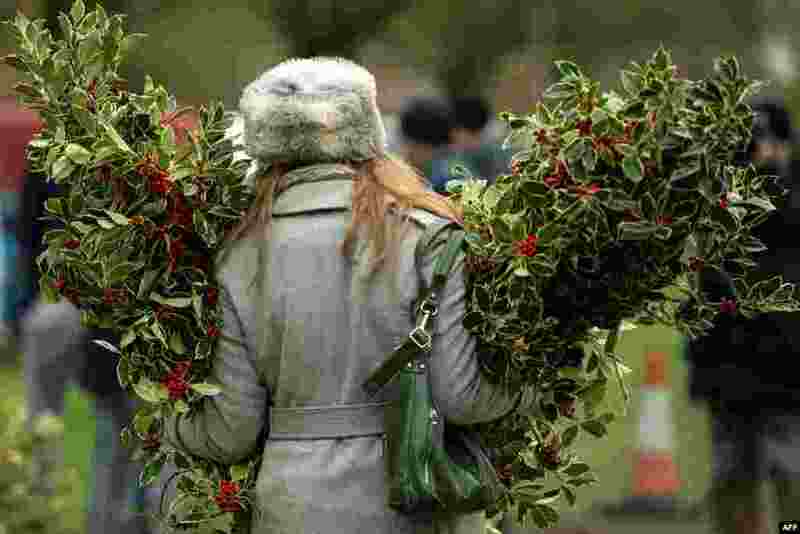 8 A woman carries bundles of holly during the annual Mistletoe and Holly Auctions held at Tenbury Wells, England, Dec. 4, 2018.